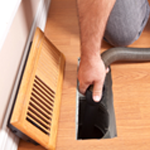 Duct Cleaning is a specialized service that requires a lot of specialized equipment and trained technicians to do the job right. We at Agers Heating & Air Conditioning highly recommend the services of Ductz of West Saint Louis. Feel free to contact them at 314-833-8749.